Another cookie recipe but as we say in French; when we love we don’t count! In a bowl, mix butter and sugar. Whip well to get a creamy mixture. Then add the egg and after the flour, the baking powder and baking soda. Finally, add the chocolate chips and chopped hazelnuts. Don’t stir too much the mixture. Bake 10 minutes. When they are done, let them cool for a minute on the baking tray, then cool on a rack. Don’t bake them too much otherwise the cookies will be dry! 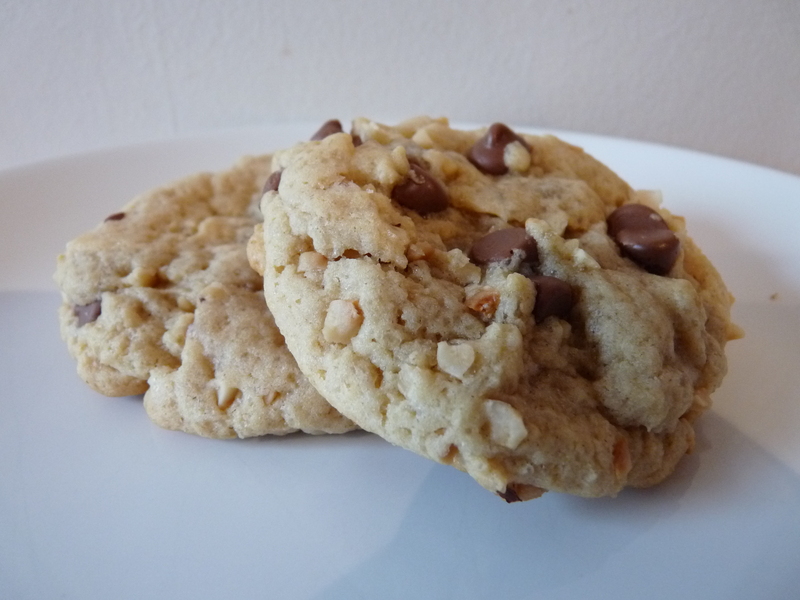 This entry was posted in Cookies, Recipes and tagged hazelnuts, hazelnuts and chocolate chips cookies by thebloodyfrog. Bookmark the permalink. I have to say that toasted hazelnuts sound good. I will try this for sure!